Home Happenings Say Hi to Hai Di Lao in Malaysia! Steamboat, hot pot – whatever you call it; if you enjoy it, you’ll be thrilled to read this. 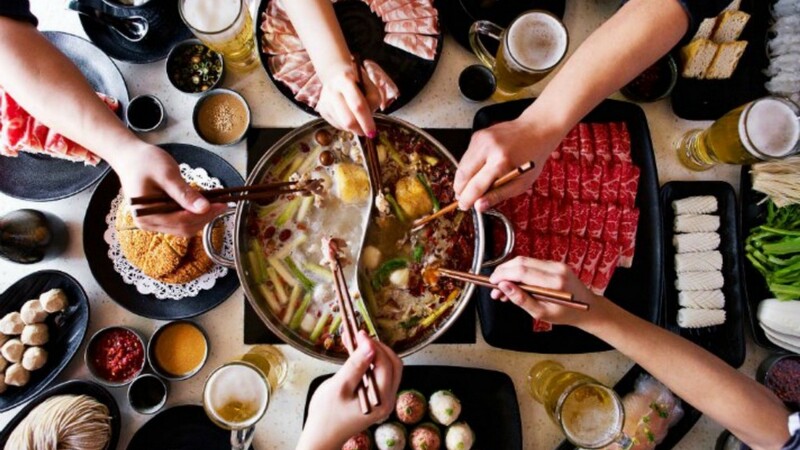 Ever since it opened a branch in Singapore, Malaysian hot pot lovers have probably been green with envy. Now, the wait is almost over as popular, well-loved hot pot franchise Hai Di Lao has finally set foot in Malaysia! Once upon a time, Hai Di Lao was just a shop in China that sold “Ma La Tang” (a Sichuan hot and spicy soup). Unsurprisingly, the “Ma La Tang” remains as its specialty today, although they have come up with other soup bases since then. As an a la carte steamboat, there’s none of that frozen food; all the ingredients are fresh! Therefore, their combination of soup bases and fresh ingredients made them well-known for great food quality. It’s been 24 years since Hai Di Lao was born, and today they have more than 300 branches worldwide in China, Hong Kong, Singapore, Taiwan, South Korea, and Japan. When it landed in Singapore, people had no qualms queuing up for hours just to get a taste of this hot pot. Even bookings had to be made at least a month in advance, so you can only guess how long you’ll have to wait once the restaurant officially opens. However, when you wait, Hai Di Lao offers a few things to make you more comfortable. Or at least help the time pass quicker. Besides free snacks and drinks, they also provide games, as well as manicure services. So now you know. If you’re craving for some hot pot and haven’t got time to get your nails done, you can always go to Hai Di Lao! Excuse Me, So Where Exactly Will It Be? Oh yes, we almost forgot. To locate Malaysia’s very first Hai Di Lao, head over to Sunway Pyramid on the ground floor. Renovation works are currently ongoing, so don’t go and queue up just yet. Also, we haven’t heard of any official opening date yet, so we’ll all just have to wait! On a scale from 1-10, how excited are you? Will you be queuing up as soon as it opens, or do you think you can wait? Let us know in the comments below!